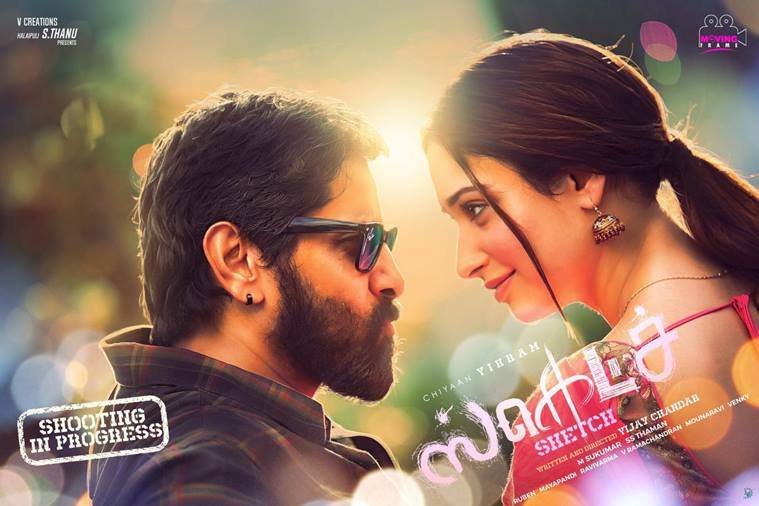 Actress Tamannaah Bhatia on Friday unveiled the first look of her upcoming Tamil film “Sketch” which also stars Vikram in the lead.Tamannaah shared the film’s poster via her Twitter page.Being directed by Vijay Chandar, the film is currently being shot and its story is set against the backdrop of North Chennai. The film brings Vikram and Tamannaah together for the first time.Two posters were released on Friday. 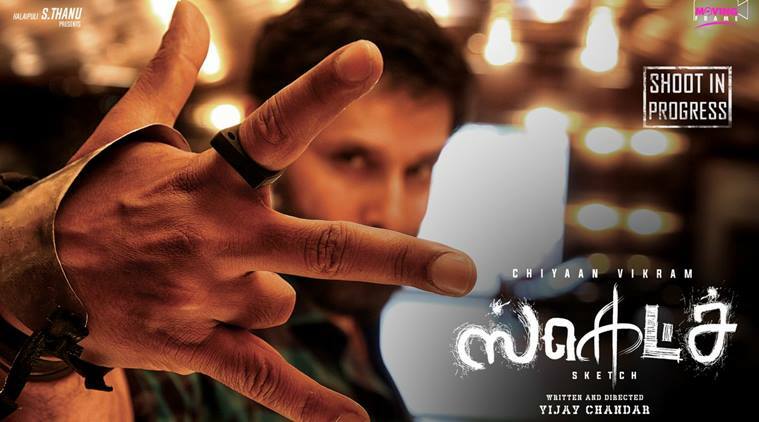 The first one features Vikram while the second one features the lead pair.The cast of the movie also includes Radha Ravi and Soori playing important roles.The music for this film is being composed by SS Thaman and the crew consisting of cinematographer Sukumar and art director Maya Pandi have planned to finish the shooting in a single schedule.